Around the globe, 6.5 Creedmoor is widely recognized as one the most potent cartridges for deer hunting in the modern era. With its ability to deliver a powerful punch, the Hornady round could take down the average whitetail with relative ease. However, many people still stick with 7mm-08 Remington while hunting for deer as it offers a superb balance between propellant charge, bullet choice and precision. 7mm-08 Remington vs. 6.5 Creedmoor, which round would deliver more value when it comes to deer hunting in the great outdoors? 6.5 Creedmoor, you come to the right place. This article shall provide you with everything that deer hunters need to remember about the rounds from their development history to performance on the field. Generally speaking, different people value different qualities and therefore, people have conflicting opinions about the best round for deer hunting. So if you want to make the right call, check out the following information carefully. While assessing different cartridges, you could have a general idea about their characteristics if you carefully research their development history. Here are a couple of details that you should remember about 7mm-08 Remington and 6.5 Creedmoor. 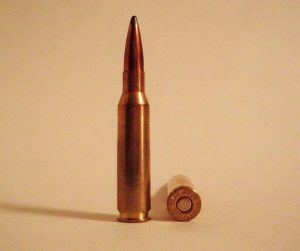 Sometime in 1958, a certain 7mm/308 Winchester wildcat round was developed and as the name suggests, people made it simply by necking down a standard .308 Winchester to hold a .284 bullet (7mm). It would spend the next 20 years in the wildcat category until Remington adopted the round, releasing it to the public under the name: “7mm-08 Remington”. Among .308-based cartridges in use, 7mm-08 Remington comes in second in term of polarity with .243 Winchester in the top spot. With proper bullets, the Remington could tackle small to medium sized games without much difficulty. Introduced to the market by Hornady in 2007, 6.5 Creedmoor is a development of .30 Thompson Center which was also based on .308 Winchester. At first, Hornady attempted to produce a round that possesses the length of .308 Winchester while boasting the strength of .30-06 Springfield. The result was .30 Thompson Center, it indeed achieved the goal of the project but consumer acceptance was low which put the round on the sidelines. Fortunately, Hornady recycled the design, necked down the round and then, 6.5 Creedmoor come into existence. As both rounds are related to .308 Winchester in one way or another, it comes as no surprise that 7mm-08 Remington and 6.5 Creedmoor have similar profiles. Thanks to its humble body, the Remington cartridge fit in short action firearms which is well-appreciated by deer hunter that carry lightweight, compact rifles. Likewise, the short case of the Hornady cartridge let it run smoothly in AR magazines while packing long, lean bullets. That being said, because of the design, 7mm-08 Remington offers higher velocities and 6.5 Creedmoor hold an edge on penetration power. Despite the fact that there are various issues that influence the precision on the field, the Remington cartridge generally gives a good account of itself. In the hand of trained hunters, 7mm-08 Remington should be able to nail preys times and again using factory loads. The average round with a 140-grain bullet could deliver a muzzle velocity of 2,800 fps and an energy of 2,400 ft.-lbs. As shooting distances in deer hunting rarely exceed 400 yards (usually stay around 150 yards), the Remington cartridge is more than enough for the task at hand. Due to the excellent rifling twist of 1:8, 6.5 Creedmoor often generate good results even if you pair it with heavy bullets. However, most hunters prefer to use commercial ammunition with lightweight bullets as they tend to focus on versatility and flexibility. Normally, the Creedmoor cartridge with a 140-grain bullet achieves a muzzle velocity of 2,700+ fps and it remains in the supersonic range out to roughly 1,150 yards. In most of the case, such a performance is sufficient for you to take out deer in usual shooting distances. Although it hit hard, the Remington cartridge is rather pleasant to shoot thanks to the reasonable recoil after every shot. In the case you don’t want to end up with a sore shoulder after hunting, it’s strongly recommended that you select 7mm-08 Remington. Additionally, the availability of the round is superb regardless of where you are so you could secure ammunition at most gun stores with relative ease. As some of the world niftiest compact rifles are chambered in 7mm-08 Remington, the round fares well against dense vegetation. On the downside, 7mm-08 Remington only comes in a limited number of configurations which is why you don’t as many choices as other rounds. Nonetheless, the straightforward nature of the Remington cartridge could get the job done no matter what if you know how to put it good use. Capable of hitting most games at extended distances, 6.5 Creedmoor perform admirably in case you need to take long-range shots. Skilled hunters could take down deer up to 2,000 using the Hornady cartridge but of course, opportunities for such shots seldom come by in typical settings. In any case, the bullet of 6.5 Creedmoor successfully resists effects of gravity, wind and other factors in its path which result into a flat trajectory. Although the length of the 6.5 Creedmoor case is comparable to .308 Winchester, it could accommodate much longer bullet without much difficulty. Regarding drawbacks, 6.5 Creedmoor excel at putting the average deer to sleep but if it comes to elk, moose and so on, it might seem lackluster. While a well-aimed shot should be enough to lay low every game, consider using another round if you intend to go after big animals. 6.5 Creedmoor should be able to take care of other outdoor games south of deer though. While certain shooters use factory-loaded ammunition for most of the time, there are people that prefer to shoot rounds tailored to their own preferences. That is why if you are putting 7mm-08 Remington against 6.5 Creedmoor, it’s of utmost importance to take a look at the round handloading characteristics. Important Note: Since 7mm-08 Remington is, in essence, a resized .308 Winchester, some people wonder if they could assemble good handloaded rounds by using Winchester cases. Well, the short answer is “Yes, it’s possible” but the operation is not worth the effort that it requires. You would be able to purchase inexpensive 7mm-08 Remington brasses in the average sporting goods store so why bother wasting your time to make some? In addition to that, troubles like uniformity, uneven neck and similar issues would be tough obstacles for you to overcome. Regarding bullet, 7mm-08 Remington could deliver a wide range of bullet from lightweight 120 to heavy-hitting 175 grain with relative ease. For deer, hunters like to keep the weight around 140 grain to keep the bullet from cutting into the powder capacity. However, feel free to use whatever bullet you like as long as you are certain that it suit your demands. In order to guarantee penetration, consider using controlled-expansion bullet so once you nail your prey, it shall go down right away (Barnes Triple-Shock X is a great option). The Hornady cartridge is compatible with propellants like H4350, IMR4350, Reloader 17… so if you have good cases, you should have no trouble manufacturing handloaded 6.5 Creedmoor. Stick to recognized names to ensure quality but in any case, you need to remind yourself that brasses from different brands have different powder capacity. As a result, it’s important to match the propellant to the case, especially if you intend to approach maximum-pressure levels for premium performance. Needless to say, process all fired cases thoroughly before use. Regarding the number of bullet choices, 6.5 Creedmoor is mainly designed for weights between 85 and 150 grain. That being said, the Hornady cartridge achieves its peak at the weight of approximately 120 grain. Some hunters prefer heavy bullets because they have excellent ballistic coefficients while others value the high velocity of light bullets. Light bullets go faster but heavy bullets retain velocity better. Hornady, Nosler and Sierra offer multiple bullet options for 6.5 Creedmoor to the public, choose one that matches your personal preferences. In addition to the round themselves, many people also pay special attention to the number of rifles that use them. To pick a round that is chambered in just a few firearms mean that you have to make unnecessary compromises. So let’s check out how 7mm-08 Remington and 6.5 Creedmoor perform in term of availability of platform on the market. As 7mm-08 Remington come from Remington, it’s obvious that the American brand delivers great rifles for the round, namely the world famous Remington Model 700. In addition to that, some of Remington competitors deliver quality models that use the round like Weatherby (Weatherby Vanguard Camilla), SAKO (SAKO Tikka T3) and Savage (Savage 11/111 Trophy Hunter XP). These rifles are able to receive various modifications so it’s a breeze to customize them as you see fit. The bolt-action mechanism performs well in the great outdoors but there are other actions. 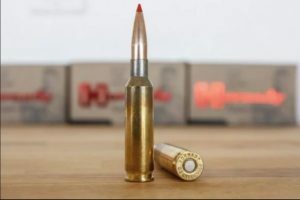 The Hornady cartridge is one of the most successful rounds ever introduced which is why it’s a natural outcome that many modern-day hunting rifles are chambered in 6.5 Creedmoor. Providing that you know how to steady your aim, 6.5 Creedmoor would be able to deliver results time and times again. As hunters rarely have to discharge too many shots at once, it’s a good idea to use a bolt action rifle while hunting deer. However, if you wish to make quick follow up shots, there are several lever-action and semi-automatic rifles available. For hunters want to have something straightforward, take a look at Ruger Precision Rifle, Savage Model 10 GRS and Browning X-Bolt Hell’s Canyon Speed. These rifles receive favorable reviews from experienced hunters, gun writers and experts which talk a lot about their field performance. In the case you want a quick firing rifle, RISE Armament 1121XR Precision Rifle, Springfield M1A and Savage MSR 10 Hunter shall serve you well. Keep in mind that having the rifle is insufficient, you must also know how to put it to good use. There are a lot of criteria when it comes deer hunting so it’s quite hard to decide whether the Remington round or the Hornady round is the superior choice. Hence, it’s entirely up to you to determine which round you should use by comparing your shooting habit with the characteristics of the cartridges. If you mainly go after deer, it’s strongly recommended that you go after 6.5 Creedmoor. On the other hand, if you expect to run into big games while hunting deer and wish to take them out as well, 7mm-08 Remington is definitely your best bet.